SEO may seem like a complicated affair filled with complex terms and techniques. With a little patience, you will find that it is not so difficult. You simply need to remember that it is a long term process and each component of SEO deserves as much attention as possible. The backlink profile is one of the more important things that your will have to consider while improving the SEO of your website. Google places quite a bit of importance on this particular aspect. 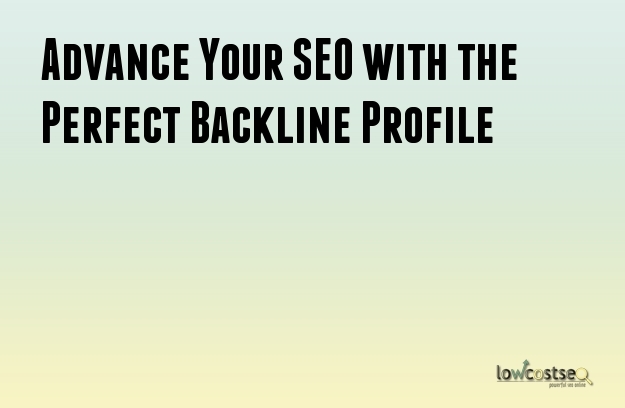 The backlink profile helps determine the relevance of your website and its popularity. Therefore, you should take the following points into account to improve the efficiency of your backlink profile. The authority of the backlink is easily one of its more important aspects. By getting your links from a high authority website, you will be getting a higher authority as well. It is important to remember that the websites with the highest authority are those with .edu or .gov domains. Even popular newspapers and publisher websites are considered to be authoritative by Google. Google will already know what kind of industry that your website caters too. Therefore, while checking your backlink profile, Google will take the relevancy of the links to your business into account. If you have a lot of links from places that have no relevancy to your business, Google will penalize you. You should try to get links from sources dealing in design, if your business falls in the design industry. The algorithms used by Google are smart enough to find out whether the links are relevant to the context you are using them in. A link to an architecture blog will only be useful if you placed it within a discussion on architecture. It is true that Google does not consider the authority every share you get on social media channels. Be that as it may, they are still links and Google likes to see a website that has received a share on social media channels. Google despises unnatural links. Therefore, you need to implement the proper steps so that other people want to link back to your website of their own free will. The easiest method to do so would be through the creation of excellent, informative and enjoyable content. You may not be able to earn links every day. However, there should not be a huge time gap between the times you have curated backlinks. Build up the profile in a steady way. A large time gap will create a poor impression. Diversity is quite important in a successful backlink profile. The links should be garnered from multiple sources while their types should be diverse as well. The text or the content they have been placed in should also be diverse. Diversity makes the profile look natural thereby decreasing the chances of penalties. A perfect backlink profile will become indispensible as a part of your SEO campaign. The benefits are irreplaceable by other SEO techniques.